By definition, loans are an extension of credit by a lender to a borrower, where the borrower agrees to pay back the lender at a predetermined time, with interest. You know your payment amount, and how many payments are required to repay the loan. Repayment terms can vary, and interest rates are either fixed, where the rate stays the same during the term, or variable, where the rate fluctuates with the market. Why Would You Consider Loan? Make an expensive purchase you want to pay for over time such as a car, mobile home, boat, etc. If you've given it proper consideration, and you feel a loan is right for you, there are a number of companies out there with all types of loans just waiting for you to contact them. So many in fact it can be hard to know where to start. The length of the loan (usually measured in months). The Annual Percentage Rate or APR which is the annualized cost of credit, expressed as a percentage. The APR calculation considers certain fees to reflect the cost of credit in addition to interest. The loan origination fee which is an upfront fee charged by a lender for processing a new loan application, used as compensation for putting the loan in place. Origination fees are quoted as a percentage of the total loan and are generally between 0.5 and 1%. How Do Lenders Determine Loan Rates? It varies form lender to lender, but most of them base it off of the prime lending rate and then factor in things like the type of loan, and how much you're borrowing. They will also consider how long the loan is and current inflation rates. How Can I Get a Better Rate? You can expect to get a lower rate if you secure the loan with some kind of collateral (house, car, etc), or if you have a good credit score. Both of these things will lower the amount of risk the lender is exposing themselves to. No matter what kind of loan you're taking out (personal, car, school, etc. ), you will generally have a choice between the two. There are positives and negatives to both, so there are several factors you'll want to consider. You think interest rates will go up in the future. You can get an idea of where economists think they are headed by checking here. Use this link if you're in Canada. If you are going to take a long time to pay it back (years). Want the security of consistent monthly payments. If you're on a tight budget, this can be a real benefit. Qualify for a low interest rate and want to secure it for the entire loan term. Your loan is for a short period of time. Feel confident that rates are on their way down. Secured loans let you put your home or other expensive assets up as collateral in exchange for getting a lower interest rate and possibly a higher limit. 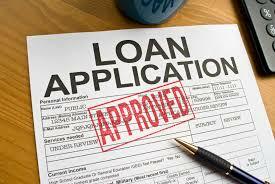 Unsecured loans are generally easier to get because there is less paperwork and questions. The trade-off is you probably won't get as good a rate or term as a secured loan. Today’s View! As you can see, it's a good day. Hope you're having the same. The Reluctant Credit Guy (RCG) is dedicated to helping navigate the sometimes confusing world of personal finance including mortgages, loans, credit, saving and investing.